With over 80 years of crafting expertise, you're in good hands at Harry Winston. 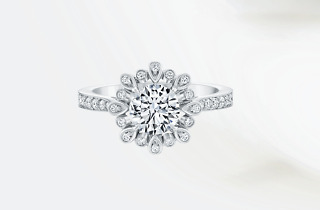 Beyond luxury timepieces and red carpet-worthy necklaces, bracelets and earrings (chances are, your favorite celeb rocked a jewel or two at that one awards show), Harry Winston offers a quality line of traditional bands and engagement rings. Think radiant round cut stunners set on a micropavé band or a classic pear shaped diamond resting on two tapered baguette side stones. 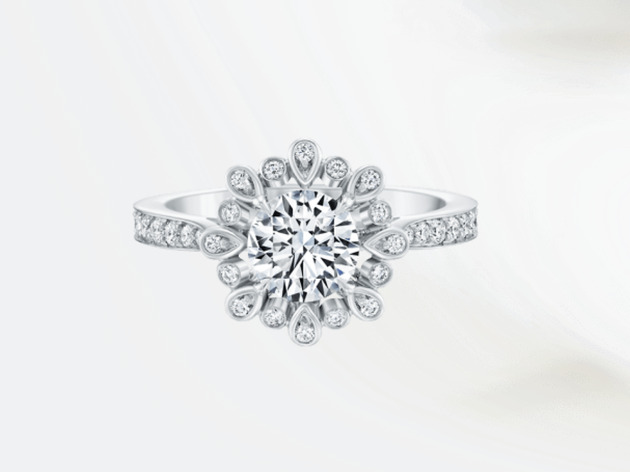 No matter what strikes your fancy, the ring will always be timeless—that's true Winston style. Now, about those price tags: Let's just say if you're ready to drop bills on a Harry Winston, he or she must really be the one.